Why did the Falcon 9 spacecraft blow to pieces on the launch pad? SpaceX thinks they may have solved the mystery. The investigation continues into the sudden implosion of a Falcon 9 spacecraft on the launch pad at Cape Canaveral, Fla., two months ago, but scientists think they may have figured out what caused it, a crucial discovery as the space company hopes to return quickly to flight. A joint investigation between the Federal Aviation Association, NASA and the U.S. Air Force, along with SpaceX, appears to have narrowed down the cause to the helium tank. SpaceX announced on Friday that they believe they have been able to replicate the helium tank failure, which appears to have been caused with a fueling process rather than the design of the vehicle itself or some flaw in the engineering. 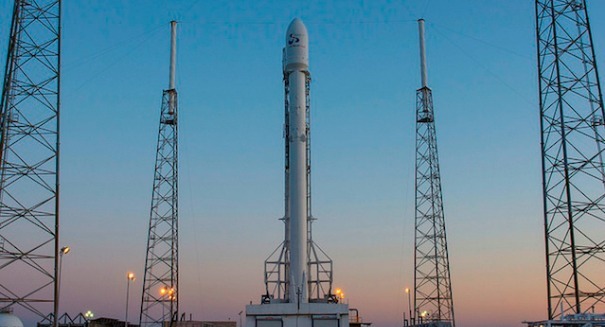 SpaceX plans to return to flight before the end of the year, so this finding was critical. The company will go back to doing stage testing in Texas in the next few days while the investigation is completed. “The Accident Investigation Team continues to make progress in examining the anomaly on September 1 that led to the loss of a Falcon 9 and its payload at Launch Complex 40 (LC-40), Cape Canaveral Air Force Station, Florida,” the latest SpaceX statement reads. “The investigation team has made significant progress on the fault tree. Previously, we announced the investigation was focusing on a breach in the cryogenic helium system of the second stage liquid oxygen tank. The root cause of the breach has not yet been confirmed, but attention has continued to narrow to one of the three composite overwrapped pressure vessels (COPVs) inside the LOX tank. Through extensive testing in Texas, SpaceX has shown that it can re-create a COPV failure entirely through helium loading conditions. These conditions are mainly affected by the temperature and pressure of the helium being loaded. “SpaceX’s efforts are now focused on two areas – finding the exact root cause, and developing improved helium loading conditions that allow SpaceX to reliably load Falcon 9,” it continues. “With the advanced state of the investigation, we also plan to resume stage testing in Texas in the coming days, while continuing to focus on completion of the investigation. This is an important milestone on the path to returning to flight.